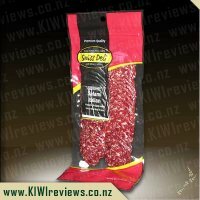 Swiss Deli Venison Salami is a fine-grained and mild-flavoured salami. It is prepared using traditional methods with a unique blend of Italian spices including garlic, pepper and juniper berries. 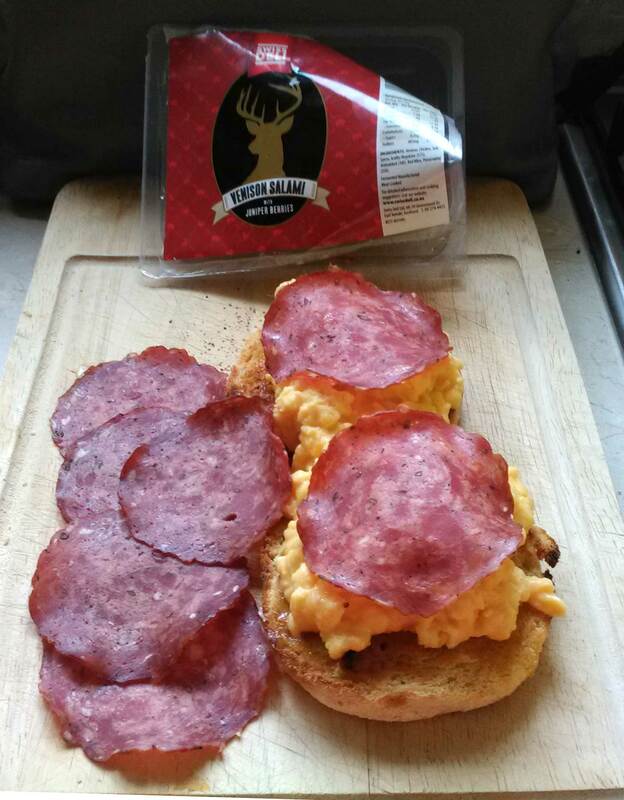 Cooked, smoked and aged to perfection - Swiss Deli Venison Salami makes a sophisticated addition to any table. Uncompromising on authenticity, the Swiss Deli factory still follows time honoured European traditions with highly prized recipes known only to our Swiss trained butchers. 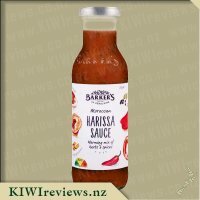 Highly regarded and acclaiming a strong reputation - today our smallgoods remain known as New Zealand&apos;s best. Given we currently have two small deer in our freezer, it&apos;s safe to say that my partner and I are BIG fans of venison. Trying this product was a no-brainer. Being venison, I thought the pack itself was a reasonable size. Given it&apos;s a game meat and can be stronger in taste (which I personally enjoy), I also thought the slices were a nice size and thickness. You could use this on pizza but we decided to use them on the Farrah&apos;s wraps that we were also reviewing. We used half the pack each (so not sharing with the kids!) and combined with lettuce, cheese and tomatoes. Oddly and I found the flavour quite mild compared to other salami but with that wonderful venison taste, it had a nice subtle peppery flavour to it that complimented the venison. I can&apos;t honestly say that I really tasted the juniper berries but I didn&apos;t eat any slices by themselves so the flavour may just have been combined in with the others. Over all this was an absolute winner with us. Yes there are cheaper meats on the market but given this is venison, the fabulous subtle flavours and versatility of the product, I&apos;d absolutely buy it in the future, is love to try it on pizza. Still not sharing with the kids though! Salami is one of those funny things, I find I either love it or hate it where as my husband always wants it. Its not something I freely get, but when I saw this up for review something screamed out at me and I am so glad that I followed my gut. My husband, being the amazing guy he is knew I had no time to eat today so when I got home after picking the girls up there was a cheese and salami toastie waiting for me, I quickly ate it and it tasted divine, the ingredients complemented each other perfectly and I could happily have had another one if the option had been available. I then went to the fridge and got a slice of it on its own and it was that perfect combination of heat and spice and it tasted so good. This week is a little all over the place as my eldest was sick on Monday so she joined my youngest at martial arts tonight. I then dropped her off at hip hop and came home expecting to have to make dinner but thankfully my husband was in the kitchen getting it all ready. A nice and simple pizza with all the toppings. He made a Turkey and Cranberry Pizza and a Meat Lovers Pizza with Salami, Bacon Pieces, Ham, Red Onion, Basil and BBQ sauce to top it off along with the trusty garlic bread. All I can say is it has to be the best Meat Lovers Pizza I have ever had and no chain store could compete. All of the flavours complimented each other perfectly and even though there was lots going on in the pizza you could still taste the heat from the Salami. Both girls, hubby and myself loved it and all said they would happily have again and I tend to agree. This Venison Salami with Juniper Berries has changed my mind when it comes to Salami. It tastes amazing and I could see myself enjoying a slice with cheese with having a cider after a long day. 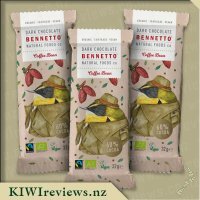 It has a beautiful after taste and as everyone in the house enjoyed it including miss fussy five year old, it is definitely a winner. The packet would be perfect for a lazy Sunday where we just make toasties and blob in front of the tv. Hubby is extremely proud of himself since I have said yes we can have it again. When I mentioned to Miss 7 and Miss 9 that we had some salami to review for afternoon tea I got two very different reactions. The youngest was very excited and her big sister wasn&apos;t keen at all. This soon changed when I served up Swiss Deli Venison Salami with Juniper Berries on crackers some with and some without Barrys Bay Havarti with Wakame Kelp. She was soon eating as much salami as her sister and I. Even when I told them they were eating Bambi with juniper berries they just continued eating it. I found that it was a lovely mild salami that tasted like meat rather that being over powered by herbs as many salamis are. I could not taste or see the berries. I thought the berries might have given it a sweet taste but that was not the case. My girls are both keen for me to get some more of this delicious salami as the packet was gone in one sitting and my poor husband, who also loves salami, didn&apos;t get to try it. 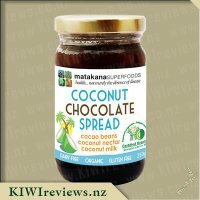 It is affordable enough to get as a regular treat for a family picnic. The only thing I would have changed would have been to make the packaging resealable. 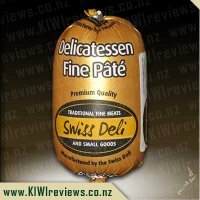 I absolutely love salami and also Swiss Deli products so when I saw this up for review I was excited when I was choosen as someone to review it as we almost always have some salami in our fridge which we mainly use for sandwiches and pizzas. When I first received my salami the first thing which I noticed was that the packaging looked very small and so I thought that there wasn&apos;t going to be much salami inside it, especially as the pack was only 50 grams in size, however as I began to read the packaging I saw that this packet was actually only made to be enough for one serve, and upon opening it up I was even more surprised to see just how much salami this little pack actually contained which in my opinion was more than enough for more than 1 serve in the ways in which I would use it for. The slices were wafer thin, and there were about 13 slices within the package. I first tried a slice just on it&apos;s own as did my partner and we both loved it and said how tasty and full of flavour it was, venison isn&apos;t something I have really eaten before and I have heard that it is usually a strong tasting meat which is why I&apos;m thinking that this salami was so flavoursome. The venison is combined with chicken in this product and it also contains salt, spices and red wine for enhancing the flavours which worked perfectly, in regards to the Juniper Berries i&apos;m not sure what these are or what they taste like so was wondering if they were part of the red wine? I could happily have sat and eaten this product straight from the pack with some cheese and crackers, but instead I decided to use it to add flavour to some pork and bacon sausage rolls I was making, I chopped up half the bacon which I would normally use and added 5 slices of the salami in place fo the rest of the bacon. As these cooked they smelt delicious, but taste wise they were even better my friends and family loved them and thought that the addition of the salami was great as it provided a lot of flavour as opposed to just that of the bacon, it went really well with the combination of bacon and pork. With half of the pack of salami left I decided to use it as a pizza topping. 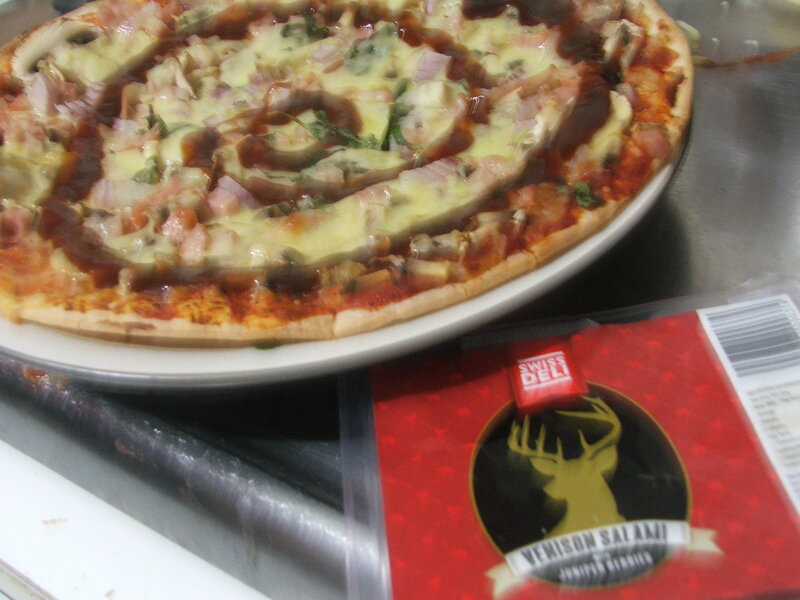 I prepared some pizza dough and then spread some steak sauce over the top of it, I then added a combination of the Venison salami with juniper berries, some bacon, pineapple, mushrooms and cheese and baked it in the oven, the taste was incredible and this salami made a real impact on the pizza in a good way! I loved how due to it&apos;s wafer thin texture it went nice and crispy and added a lovely crunch. As far as salami goes this is up there as one of the best taste wise! 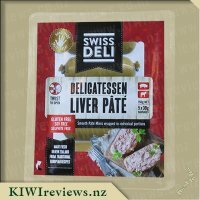 I have noticed my local Countdown sells Swiss Deli products so will be looking out for this one for sure. I travelled widely in Europe when I was younger, and even made my own kabanos a few times, so I have probably tried a great variety of salamis and related meats. This means I have a healthy respect for the butchers who produce salami because it is a precise process, one which requires a fair bit of skill and a good sense of the balance of the spices used. I was interested to see that this recipe uses juniper berries. Apart from their well-known use in gin (which came from the Dutch word for juniper), they are also used in preserves of various kinds. I have used them in various fruit pickles over the years because I really like their flavour. 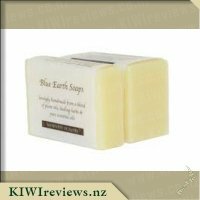 The juniper in this product is quite subtle, however, possibly because the slices are wafer-thin and very upmarket in appearance. I could also detect the pepper but again the flavour is mild and pleasant rather than in-your-face aggressive as some salamis can be. It is light and lean, without the fatty aftertaste that I would normally associate with salami. Venison is a naturally lean meat so it appears this would be an excellent alternative for people wanting to cut back on the fats. Three of us shared the packet; we first tasted a slice each on its own and then we served the rest with scrambled egg in place of bacon. We did not bother to heat the salami as it was so fine that we thought it would take up the heat from the freshly cooked eggs, and this was the case. The egg and salami mix was very nice indeed and the rest of the packet disappeared all too swiftly. Next time I buy this product, I would like to try it the traditional way with a soft, mild-flavoured cheese and some bread rolls. The cheese should not be too strong as it would compete with the delicate effect of the salami - if anything, the cheese should be understated. I can picture it as part of a picnic - add a bottle of smooth red wine and a salad, put it all in a wicker basket, and it would be a perfect meal to take to share at an outdoor music concert. 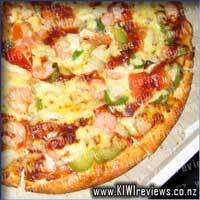 The other use I can see for it is as a pizza topping for children because the mild flavour would suit young palates. There are very few kids who don&apos;t like pizza! 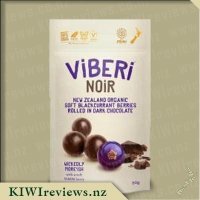 All in all, I like this product and will be keeping an eye out for it. 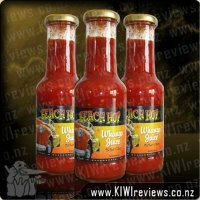 It is made from natural ingredients, it tastes good, and, best of all, the price is very reasonable! This product has 50g of venison salami, which according to it&apos;s nutritional information counts as one serving. Personally I managed to make the venison last 3 servings, layered in a sandwich, chopped and put into an omelette, and finally just eaten straight out of the packet. Salami itself (despite being labelled as a mild flavoured meat) is strong in flavour compared to the straight meats such as ham or beef, and therefore doesn&apos;t need large quantities to affect the flavour of the meal. In my omelette, I beat 3 eggs together, added some salt and pepper, and heated inn a pan. Once the base was cooking well, I added two thin slices of cheese, and two slices of the venison salami chopped into small pieces. The smaller the pieces, the better the omelette would retain its shape when moving onto the plate, and eating. 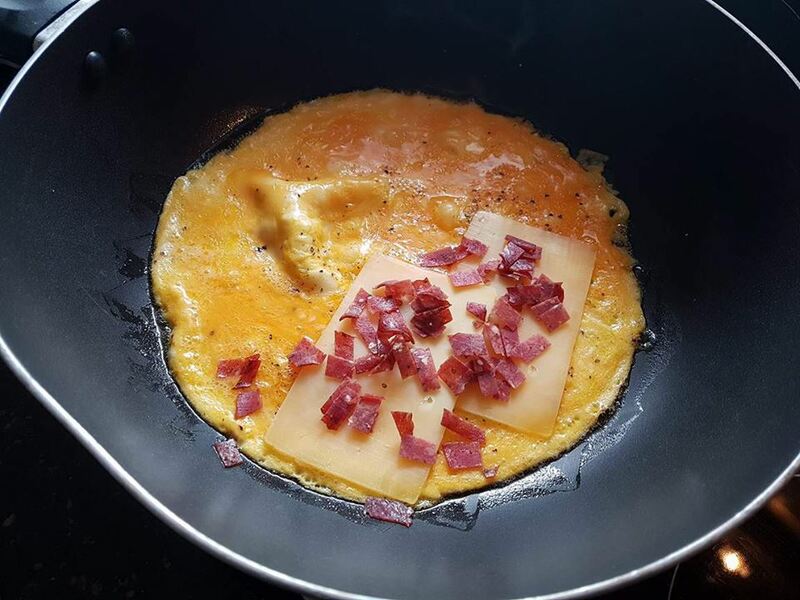 Despite only using two thin slices or the salami, it remained the dominant flavour in the omelette, providing an earthy saltiness, and a nice little black peppery kick. I suppose the real question is whether there was much difference between the venison salami, and other salami&apos;s available these days, and well I couldn&apos;t really tell you. I don&apos;t generally eat salami all that much. It certainly had a stronger flavour to what I can recall other salami&apos;s having, and it was a meat that I didn&apos;t need to have lots of in order to be satisfied (I can easily put 250g of chicken in a sandwich, but two or three slices of venison salami gives just as much flavour), so the meat definitely goes further. 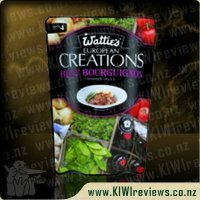 So value-wise, this 50g pack is the same price as 400g of your budget Manuka Ham at the supermarket, but the number of serving sizes are definitely similar when considering the strength of flavour. Being salami, it is a cured meat, and will obviously last longer than your general meats as well, with my product&apos;s shelf life lasting over two months in the packet. Even after opening the packet, the meat stayed reasonably fresh for over a week, not going solid or dry. Not bad at all. 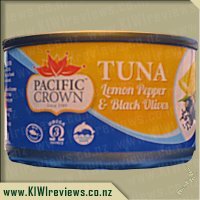 Delicate pieces of premium tuna combined with a blend of black olives that have been flavoured with lemon pepper. This makes a perfect addition to salads, and can also be used in sandwiches and on cracker toppings.